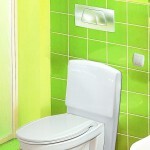 A lift toilet is an electrically height-adjustable toilet unit. 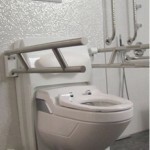 Depending on the version, the toilet lift is also adjustable in angle and accessible by special handles. Here, a toilet lift serves as a comfortable setting and stand up support. 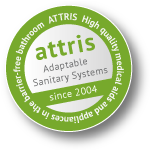 The toilet lift has been specially designed for people who have difficulty in using a standard toilet. We produce individual care devices which help to rehabilitate and to care for people who are physically handicapped/disabled. We remain at your disposition if you would like to have any further information concerning the application of the care aid. Please do not hesitate to contact us for any further questions.